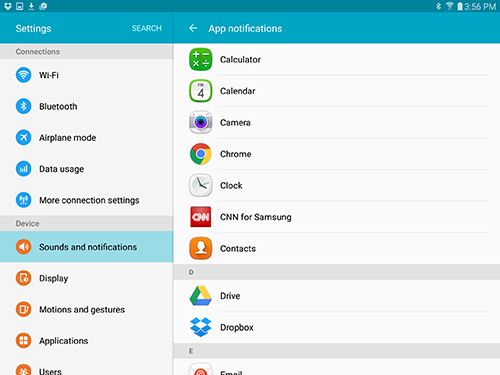 Galaxy Tab S2: How do I change the App notifications on my Samsung Galaxy Tab S2? 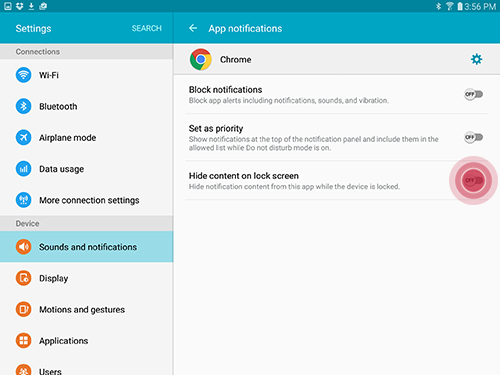 You can control which applications push notifications to your device using the App notifications settings. Setting App notifications as priority means notifications will display at the top of the Notification Panel, even when your device is in Do not disturb mode. 1. From the Home screen, touch Apps > Settings . 2. Touch Sounds and notifications > App notifications. 3. Touch an application whose notification priority you want to change. 4. Touch the slider next to Set as priority to turn the priority setting. 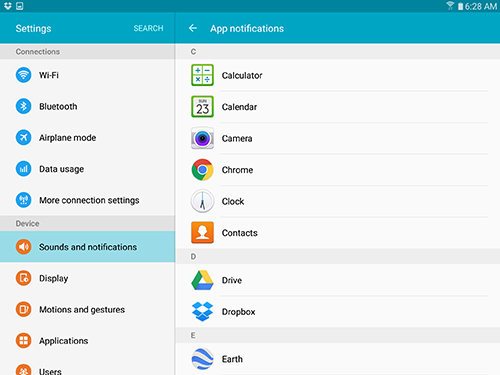 Notifications from this application will display at the top of the Notification Panel when your Do not disturb settings allow priority notifications. 5. Touch Back to manage the notification settings for more applications. Applications with the priority setting turned ON are identified by the words Set as priority under the application name. Blocking notifications for an application means notifications will not display on your lock screen, status bar, or in the Notification Panel. For example, if you block Gmail™ notifications, your device will not display a notification and will not play a sound or vibrate when you receive notifications from Gmail. 4. Touch the slider next to Block notifications to turn notification blocking. 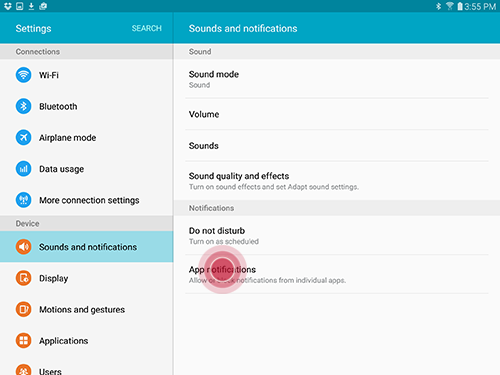 All notifications, including sounds and vibrations, will be turned off for this application. 5. 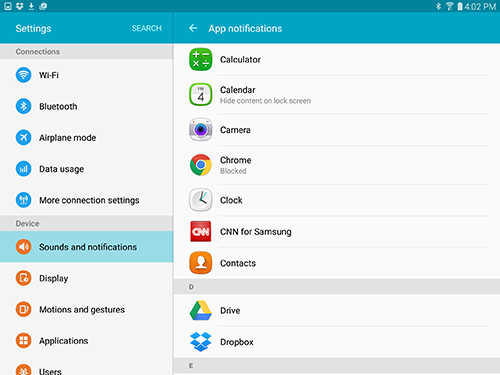 Touch Back to manage the notification settings for more applications . 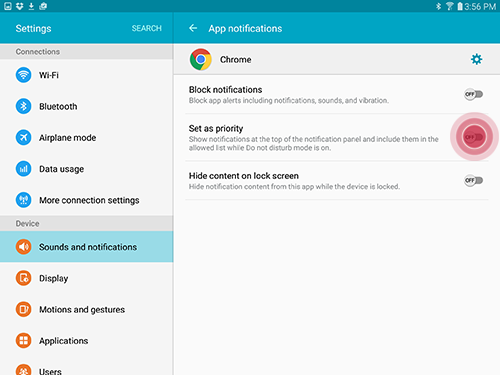 Applications with notification blocking turned ON are identified by the word Blocked under the application name. This option will only display when Notifications on lock screen is set to Show content. If Notifications on lock screen is set to Hide content or Do not show notifications, lock screen notification content is automatically hidden for all applications. 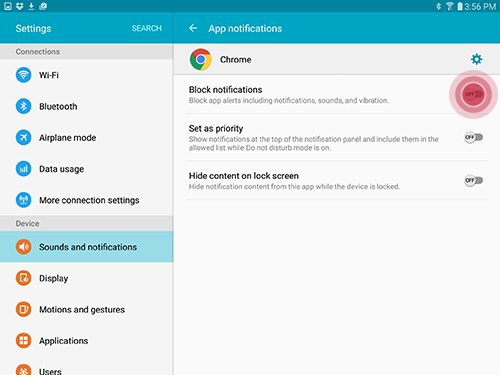 Prevent your device from displaying notification content for specific applications when your device is locked. 4. Touch the slider next to Hide content on lock screen to turn notification content blocking. 5. 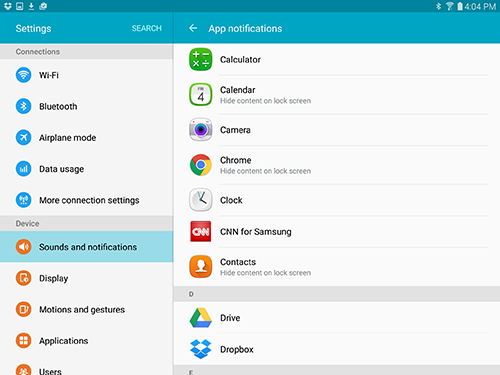 Touch Back to manage the notification settings for more applications. Applications with notification content hidden are identified by the words Hide content on lock screen under the application name. How do I download new Applications using Google Play Store on my Galaxy Tab S2?